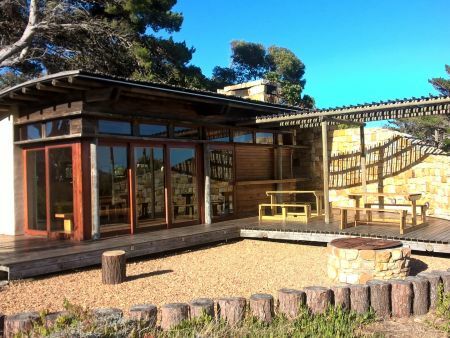 Smitswinkel Tented Camp, situated 300 m from the entrance to the Cape of Good Hope Nature Reserve, is the last “touching the earth lightly” camp to be built by Sanparks in Table Mountain National Park. 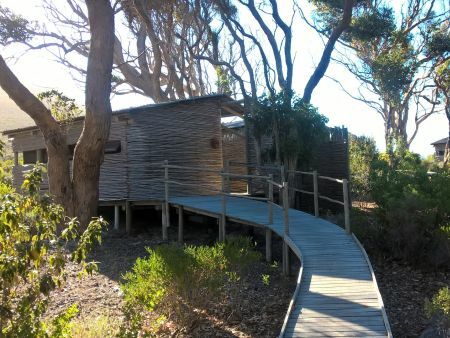 Set in the shadows of a flowering Gum plantation, this 12 sleeper camp is perfectly located to enjoy hikes to Cape Point. 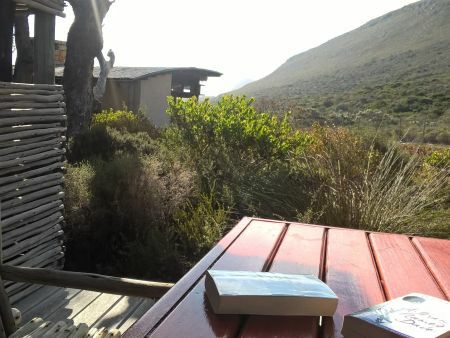 The camp is situated about 300 m from the entrance gate to Cape Point, close to Smitswinkel Bay. The name Smitswinkel (‘the blacksmith’s shop’) was given to this pretty little bay because of two rocks that jut out of the sea which resemble an anvil and a bellows. The bay is reached by a steep footpath. The 6 x 2 sleeper "tents" are permanent structures, with canvas interiors covered by a completely weatherproof sheeted roof. 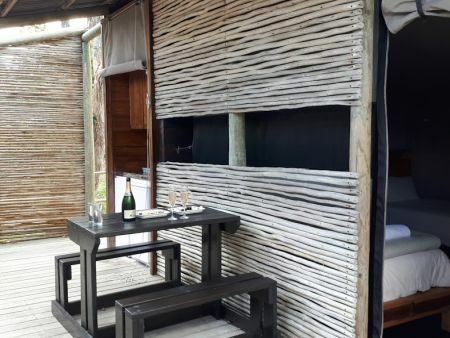 Each tent has an en-suite bathroom and equipped kitchenette. 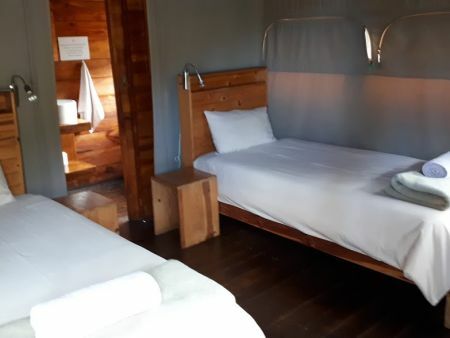 Linen and towels are provided on the 2 single beds. 6 x 2 Sleeper Tents. En-suite bathroom, toilet and shower. Equipped Kitchenette to self cater for 2 persons. 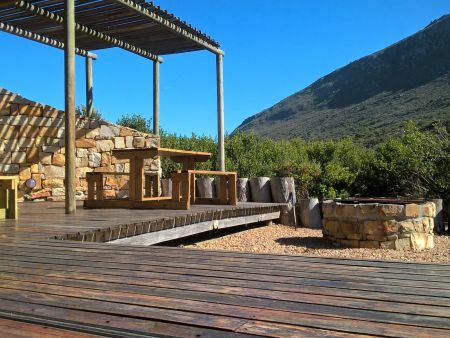 Secure parking and “braai” facilities. 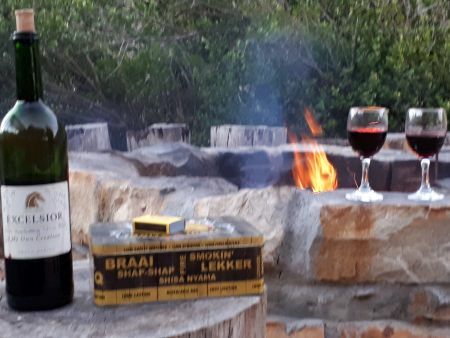 The camp has a fully equipped Boma with indoor fireplace and “braai” facility. 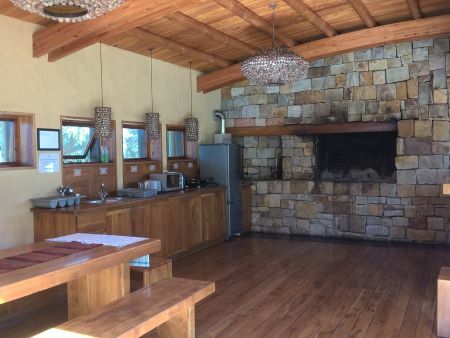 The outside “braai” facility may be used, although this is weather dependant. Shops are not close to the camp - guests should bring their own provisions. A TMNP staff member is on site during the client’s stay. The areas under the control of Sanparks are used entirely at own risk and Sanparks shall not be liable for any claims, accidents, injuries or loss, etc. arising from such use.